In this article Next Siooon will discuss about Disease Malaria, Information includes Understanding - Symptoms - And How to Prevent Disease Malaria. Disease Malaria - mosquito-borne diseases caused by parasitic protozoa with plasmodium type. The common symptoms of malaria are fever, fever, and pain like having a cold. Do not misinterpret the symptoms of malaria as the common cold because it can be fatal. If not handled quickly and precisely, the symptoms of malaria that arise can cause severe complications that can lead to death. Life-threatening red blood cells that are transmitted to humans by the Anopheles mosquito. After humans are bitten by mosquitoes, these parasites that cause malaria breed in the liver (liver) of humans before infecting and destroying red blood cells. Although malaria is a disease that can be controlled and treated if diagnosed early. However, sufferers will feel uncomfortable because they will feel fever and feverish so they cannot indulge in activity. For that we must be able to maintain a healthy body so that it is not attacked by Malaria. The World Health Organization (WHO) has targeted reducing cases and malaria deaths by 90% by 2030. Malaria was first discovered to be a parasitic disease in 1880. The danger is that an estimated 3.3 billion people in 97 countries are at risk of malaria, almost half of the population world. The incidence of malaria is estimated to have dropped by 30%. The cause of malaria is the bite of a female Anopheles mosquito which is contained in the body of the Plasmodium parasite. Anopheles is the only mosquito that can transmit the malaria parasite. The success of malaria parasites to develop in the body of a mosquito depends on several factors, especially the humidity and temperature of the mosquito. When infected mosquitoes bite humans, malaria-causing parasites enter the bloodstream, and become active in the liver. For the next 5-16 days after being bitten, humans who are bitten will begin to show symptoms. We must know the symptoms of Malaria in order to take the first action so that it can be cured immediately. Plasmodium Falciparum - These malaria-causing parasites are located all over the world, but the majority are in Africa. An estimated 1 million people are killed because of this strain every year. These strains can multiply quickly into severe malaria, for example to attack the brain. However, this strain is unable to relapse. Plasmodium Vivax - located in Latin America, Africa and Asia, most in Asia. This strain has an active stage in the liver that can activate and attack blood after months or years, which is called relapse. Plasmodium Ovale - located mainly in the West African region, biologically and morphologically very similar to P. vivax. This strain can attack the negative Duffy blood group, which is a group in the majority of the population of sub-Saharan Africa. This explains that the prevalence of this strain (not P. vivax) is mostly in Africa. Plasmodium malariae - located throughout the world and the only malaria parasite that is active every 3 days. If left untreated, P. malariae can cause chronic infections that can last a lifetime. Plasmodium knowlesi - located in Southeast Asia, is known to have a 24-hour cycle and, therefore, can multiply rapidly in patients. Fatal cases of this strain were also reported. Symptoms of malaria or malaria signs need to be known to anticipate and handle them appropriately. 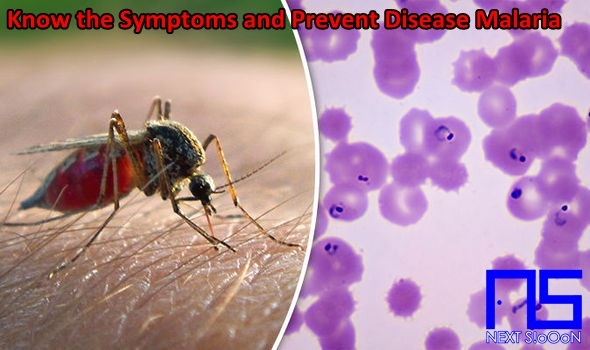 According to the Centers for Disease Control and Prevention (CDC), malaria signs or malaria symptoms are classified into two categories, namely simple and severe. Uncomplicated malaria is diagnosed if there are symptoms of malaria without clinical or laboratory signs to show the severity or dysfunction of vital organs. Individuals who suffer can experience severe malaria if this simple malaria is not treated, or if they have no immunity to fight disease. If you do not receive malaria treatment, this malaria can be fatal. Although many steps have been taken, vaccines for this disease have still not been found. However, this disease can be treated by treating malaria. The goal of treating malaria is to remove the Plasmodium parasite from the patient's bloodstream. Thus, the risk of disease transmission can be reduced by this malaria treatment. If it is still symptomatic, it will be more easily cured, because parasites have not spread to all the bodies. Artemisinin combination therapy (ACT) was recommended by WHO for malaria treatment. Artemisinin is derived from the plant Artemisia annua, and is known for its ability to reduce the number of Plasmodium parasites in the bloodstream quickly. ACT can be combined with other drugs as a partner drug for malaria treatment. The role of artemisinin is to reduce the number of parasites in the first three days while partner drugs eliminate the rest. You should immediately come to the hospital or consult a doctor to get medication to treat malaria. Do not leave too long because it can be dangerous for the health of the patient. The best solution is to always keep the environment clean, especially at home, now we live in an age of technology where many tools can be used for a long time. Like we use a Smartphone - a laptop that can be silent in a few hours. So we don't realize if there is a Malaria mosquito that bites. Malaria Disease, Malaria Disease Information, Malaria Disease Article, Malaria Disease Information, Malaria Symptoms, Causes of Malaria Disease, Factors Causing Malaria Disease, Malaria Disease Impacts, Malaria Medication, Relief of Malaria Symptoms, Overcoming Malaria Symptoms, Malaria Disease Symptoms, Malaria Disease Management , Things to do with Malaria, What is Malaria, Definition of Malaria, Information on Understanding Malaria, Symptoms of Cause and How to Overcome Malaria, Malaria Detail Info, Tips to Relieve Malaria, Tips to Overcome Malaria Disease, Overview of Information About Malaria, recognize the causes and symptoms of Malaria, prevent Malaria by knowing the symptoms and causes.